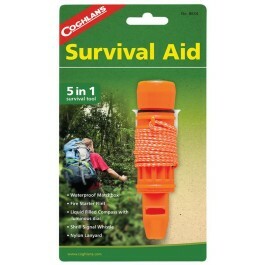 Coghlan's Survival Aid is an must have for every Bug out bag, survival kit and/or backpack. 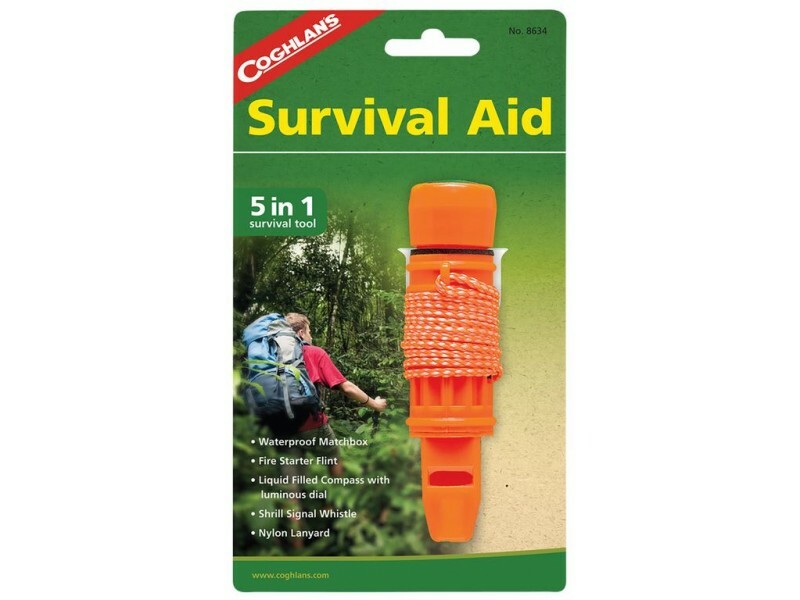 This 5-in-1 Survival Aid has a waterproof matchbox, liquid-filled-dial compass, fire-starter flint, shrill signal whistle, and nylon lanyard. 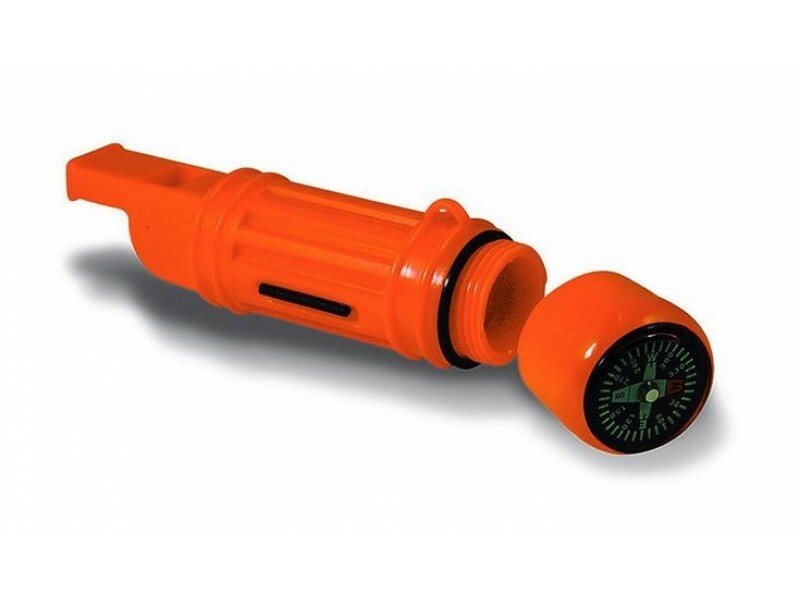 Be prepared to make a fire, find your home or use the emergency whistle to be the one found in one tool.